Dragons in Chinese traditions and feng shui are considered the most auspicious symbols to attract chi. The ultimate power and strength symbols dragons have taken place in our homes and lives in many unique ways. The latest is seen in modern funky Tortoise shaped finger rings that have the dragon shape. Dragons are symbols of good luck, wealth and prosperity and also very good symbols for protection. Usually worn at beginning of auspicious new business or job the dragons attract good chi and also give support and strength to the wearer. Dragon energy is Yang energy, male, strong and this affects the wearer of dragon shaped tortoise finger ring in many ways. The legend goes that Dragons love the moon and pursue to get it, hence we see a pearl in its mouth. 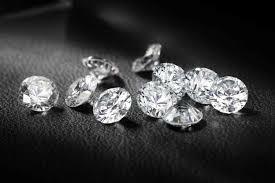 This legend has come upon as wealth symbol as the dragon does not rest till it catches the pearl. Thus influencing its wearer too pursue their goals. 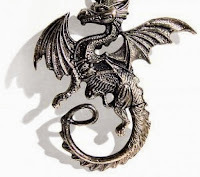 The good points with Dragon shape here are- strength, support, protection from evil eye, alerting of danger, prosperity, wealth, knowledge and many more. The Dragon sure makes you work till you achieve your goals! 1) Not for weak hearted, dragon shape tortoise ring produces a strong alertness and energy making the wearer person work harder and harder , not suited for everyone. 2) Not for high blood pressure and chronic health/ heart disease problem people. 3) Not for Emotional disabilities and mental health problem people. 4) Not for mentally sub normal or retarded people. 5) Not for People who are wearing other shaped finger rings, worn snake, skull, dracula, bats, or any other symbol ring together with the dragon. 6) Do not wear dragon shaped tortoise finger ring if you are not sure of the business you begin, it may create a wrong energy. 7) Do not wear this ring immediately before an important presentation, let the ring show its energy effects before so that your body gets adjusted to this new energy. 8) Do not wear dragon tortoise shaped ring as wedding ring, it may create imbalance in relationships from beginning. If your partner energy does not match. Usually when you select a Dragon Tortoise shaped finger ring, do put up positive intentions before wearing it so that it may not harm you. Also choose the dragon that you love and are comfortable with. Do not wear the dragon shaped ring for many hours continuously, it is advisable to let the dragon rest as well as you get rest too! Keep it in a soft cushioned box away from your bed and sleeping place at night. Remember it is the fire dragon and will not let you get peaceful sleep, which may in long run affect your health. Dragons are great creatures and provide very good support when you love and respect them, just see that the dragon energy loves you, and do not anger the dragon, and they bless you with awesum good luck!